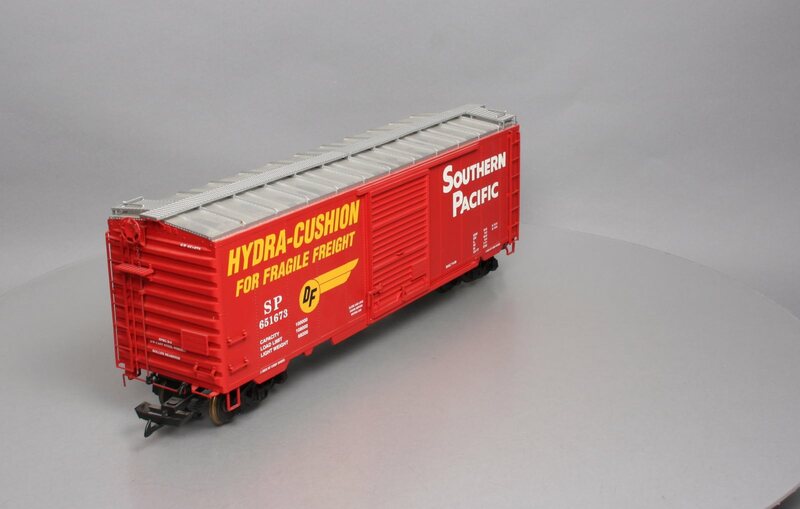 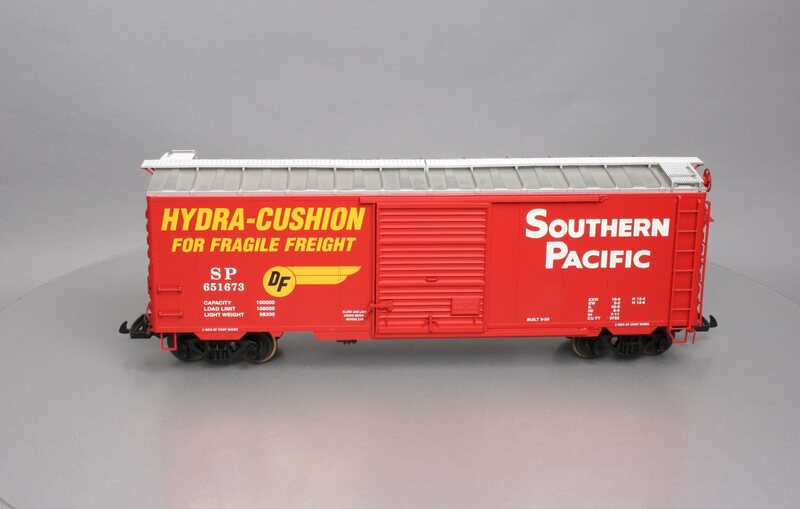 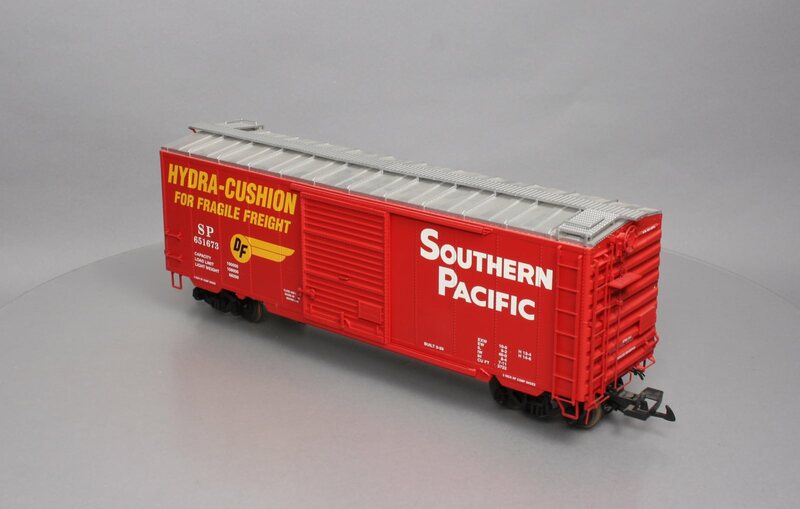 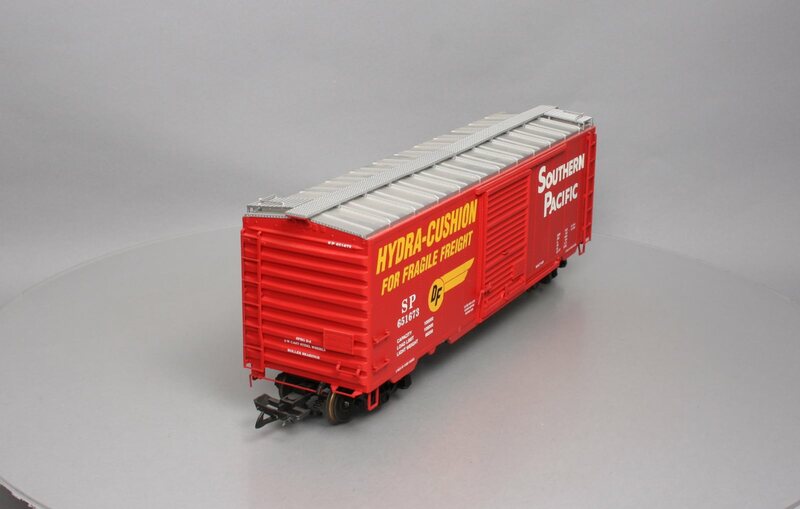 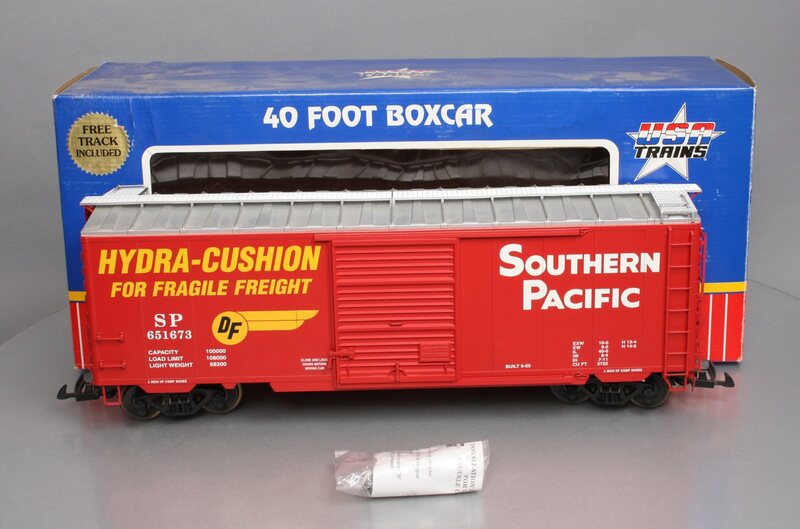 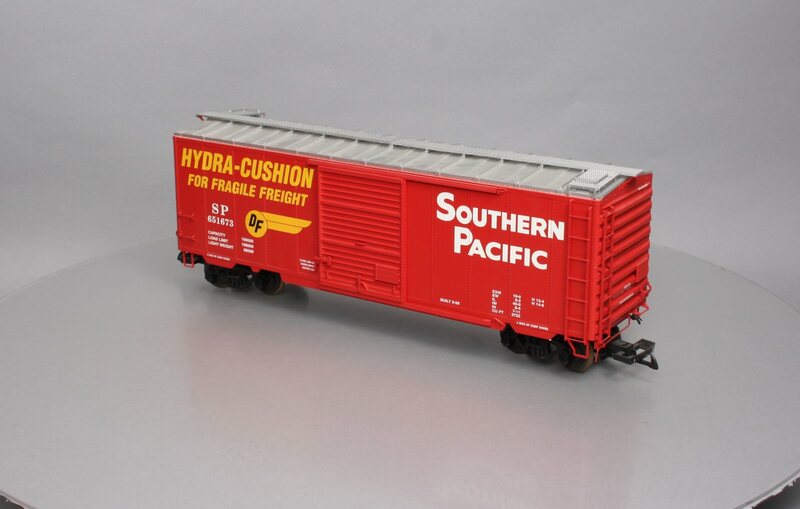 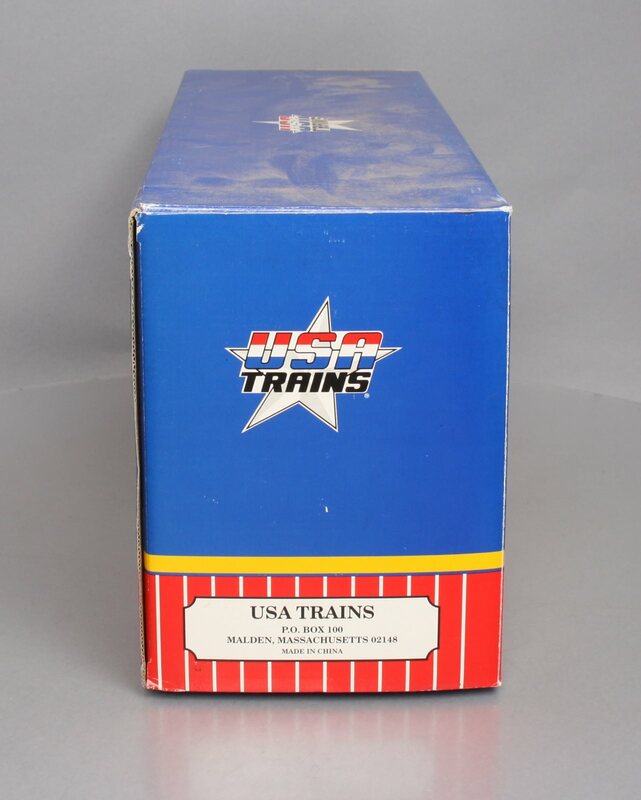 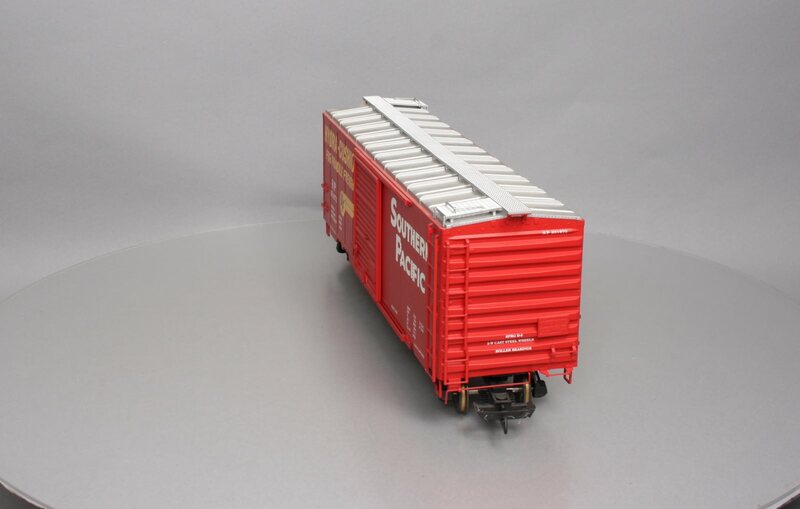 This is a USA Trains R19202A G Scale Southern Pacific 40 Ft. PS-1 Simulated Steel Box Car with 6 ft. Panel Superior (Tuscan) #1. 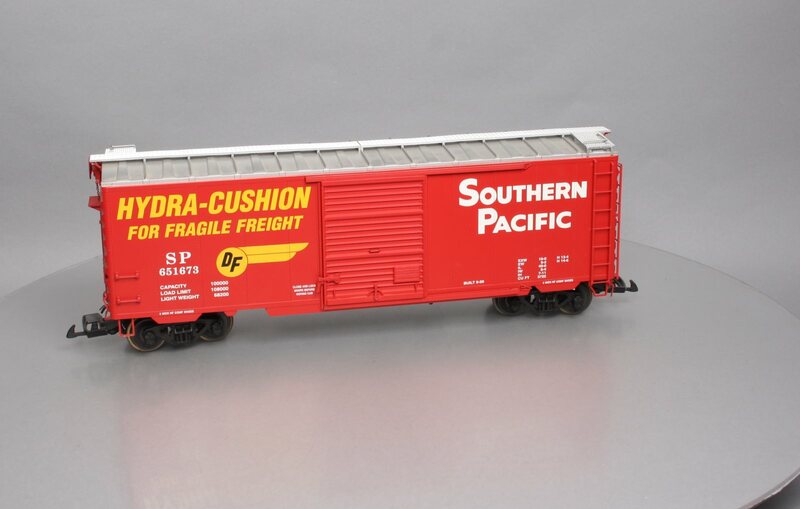 Special Features: 1:29 Scale Model, Three Style of Operating Doors , (A) 6 Ft. Panel Superior , (B) 8 Ft. Panel Superior , (C) 8 Ft. Youngstown , Authentic Operating Side Door Latch, Movable Door Lever, Separately Molded Handrails, Ladders, & Corner Steps, Real Chain on Brake Assembly, See Through Roof Walks & Grates, Brass Coupler Lift Bar, See Through End Steps, Detailed Under Body Including Complete Brake System, hook and loop Couplers, underside of body has provision for Kadee #830 Coupler installation, Detailed Bettendorf Trucks, Blackened Metal Wheels, Authentic Paint Schemes with Multiple Road Numbers for Most Railroads and Length: 17 Approx. 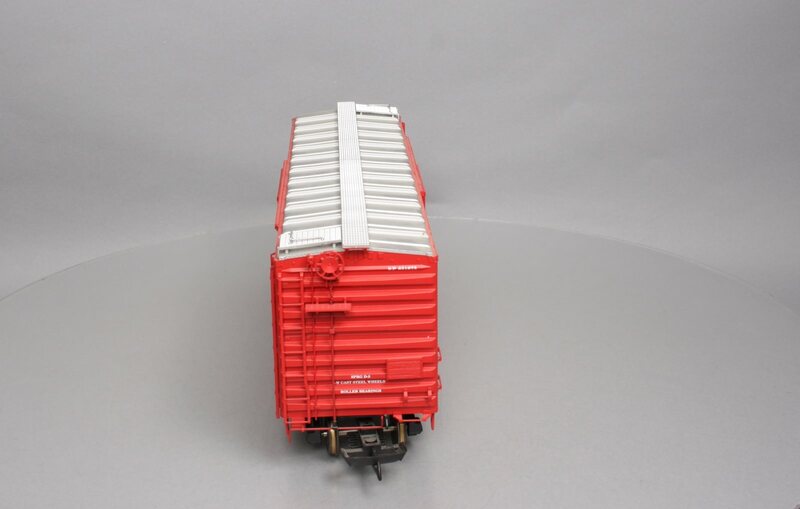 The Trainz SKU for this item is 4204267.